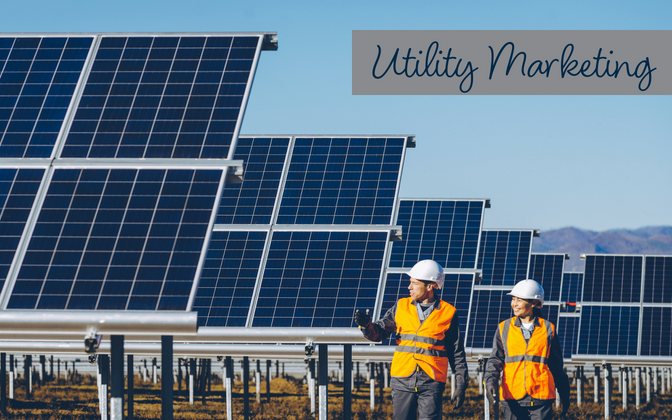 Utility companies are shifting how they market to their customers. By embracing digital engagement, they are finding new ways to interact through social media, text and email marketing, and at the same time diversifying from being just an energy provider to expanding their offerings to include energy-efficiency solutions, home energy audits, online stores, rebates and much more. Popular utility marketing programs include energy efficiency, solar energy, rebates, home energy audits, lighting rebates, scholarships and electric vehicles. Saving money and becoming more energy efficient are top of mind with consumers. Leveraging digital engagement is something utilities and energy marketers are focusing on to reach customers where they are. What does this look like for a utility company? With consumers connected via smartphones to the digital world 24/7, it is easier than ever to reach customers by engaging through social media marketing (Facebook, Twitter, Instagram and LinkedIn) and other digital tactics such as apps, texts, video and email marketing. Examples of how utilities use social media can be found on the Apogee Interactive blog in an article we guest posted called Creating Meaningful Conversations on Social Media. Often the only barrier to engaging via these tactics is time, budget or buy in from the C Suite! Denim Marketing partners with Jackson Electric Membership Corporation (EMC) to extend the reach of its Right ChoiceTM New Homes program to builders, contractors and Realtors. Right ChoiceTM homes are built for energy efficiency, sustainability, improved indoor air quality, convenience and comfort. These homes offer homebuyers guaranteed energy savings, guaranteed comfort, energy efficient construction and Jackson EMC’s lowest rate. Promoting this program to the industry is an important step in recognizing the builders and vendors who participate in the program, as well as recruiting more builders to participate in the program. Not only is Right ChoiceTM a great program with fantastic benefits to all involved, but it has a high-profile spokesperson that draws a lot of attention to it. Ty Pennington promotes Right ChoiceTM homes through a series of videos, audios, print and digital ads. Denim Marketing works to extend the reach of this program through a variety of tactics including Facebook advertising, email marketing and content marketing. Jackson EMC’s Right ChoiceTM brand is elevated through its sponsorship of Atlanta Real Estate Forum Radio and all the social media that promotes the podcasts – Facebook, Pinterest, Google+, Instagram and Twitter. Utilities also reach out to customers through more traditional methods of customer engagement (CX) including workshops, newsletters, high bill warnings, energy efficiency awareness, bill summary reports, messages about rebates, public meetings and customer appreciation days. Many of these tactics happen in real life (i.e. in person), such as workshops and public meetings, and allow for a great deal of one-on-one engagement. Customer testimonials and reviews are important to utilities. Not only do these help to measure the success of engagement initiatives, but they also help identify business challenges and opportunities. What works and what doesn’t? Well, that is easy to figure out. Denim Marketing can conduct a review of your website analytics, social media engagement and email open and click-through rates. From a full-blown marketing audit to a competitor’s audit, find out where you stand and where you have room to improve. For the interactive technology company, Apogee Interactive, we conducted a full social media audit, wrote several blogs, compiled research data, wrote a whitepaper, conducted a competitor’s analysis and helped coordinate their overall 2018 marketing plan. Looking at where you are and where you want to go is an important part of the planning process. After all, you can’t get where you are going if you don’t know where that is. Our experience with utility marketing includes work with both Jackson EMC and Apogee Interactive. We’d love to work with you to identify opportunities to improve both your digital and customer engagement. Let’s create a marketing plan and strategy to address where you want to be in a year, then identify the tactics needed to achieve success. Contact Denim Marketing at 770-383-3360 or Contact Us via this website!